Are there any traditional or historic reason(s) why people would put salt in their beer when drinking it or would simply prefer to drink a salted beer such as Gose? 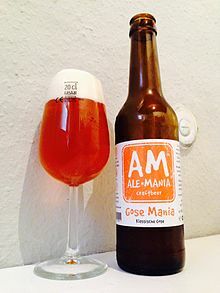 Gose beer, brewed in Bonn, Germany (2014). The same reason people put salt on their food. It enhances the flavor of the beer. Is there a real reason for putting salt in beer? Putting salt in beer stems from a few philosophies - all of which seem to have had a purpose at one time or another. · An old wives' tale said that putting a sprinkle of salt in your beer would stave off cramping during hard work. Dehydration can cause cramping of the muscles, because of the depletion of minerals in the body. Adding salt to the beer would make the worker thirsty, and thus he would drink more beer to relieve the dehydration. · Others add salt to beer for flavor purposes; post-prohibition (1933) beer had turned into somewhat of an ugly being. Breweries had to cut costs and started to use cheaper ingredients like rice and corn, which made for a nearly flavorless beer. These beers are still around, though most people have become accustomed to flavorless beer and so have no need for the salt. Many South and Central American beer drinkers will add salt and sometimes hot sauce and/or lemon, for flavor, or to mask off flavor in beer. Why is it that people need Beer Salt? Here are some examples of Gose Beer: Why Gose Is The Only Beer You Should Be Drinking This Summer. A similar question was asked on our Seasoned Advice SE site: Why did my grandfather-in-law salt his beer? I've read that beer is mostly water and that drinking too much floods your system with water and depletes your sodium,etc. My theory is that while it is flavorful it also can help stave off hangover effects?